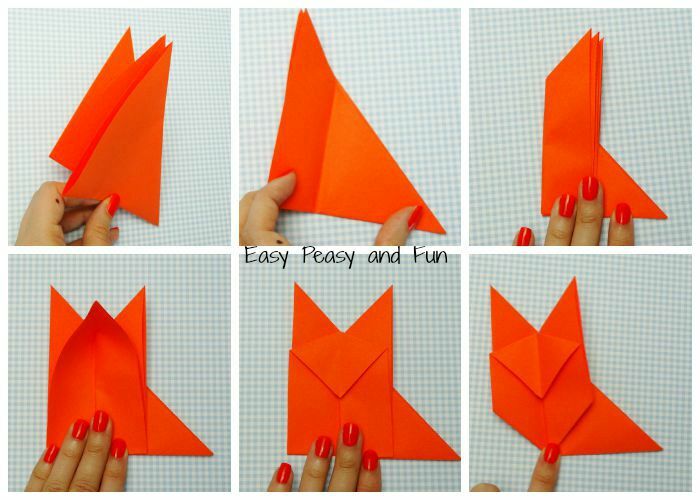 Ever wondered how to make an origami fox? 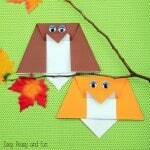 It’s pretty easy and you and your kids will love making them! 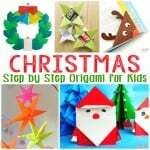 Paper folding is great for all ages but origami for kids are especially fun (and great for beginners). 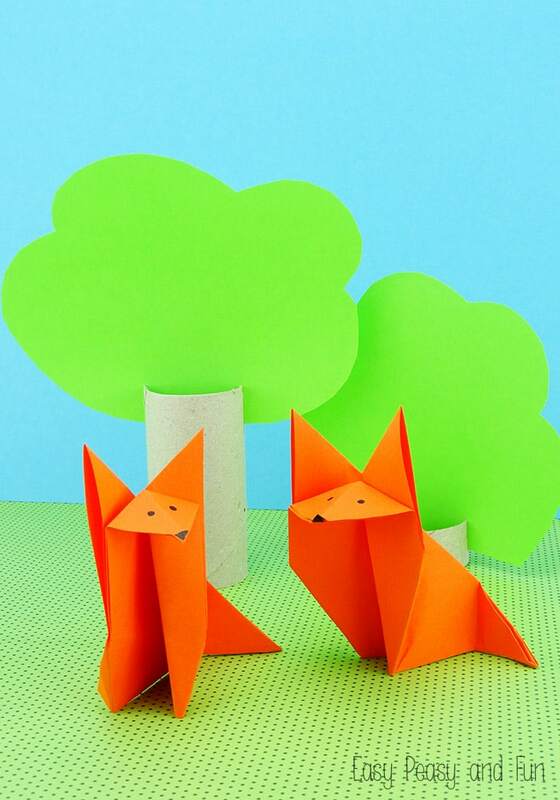 This fox origami is a slightly modified version of a traditional fox origami. You’ll need a square piece of paper. 1. Start wit a square piece of paper. 2. Fold it in half diagonally. You’ll get a triangle. 3. 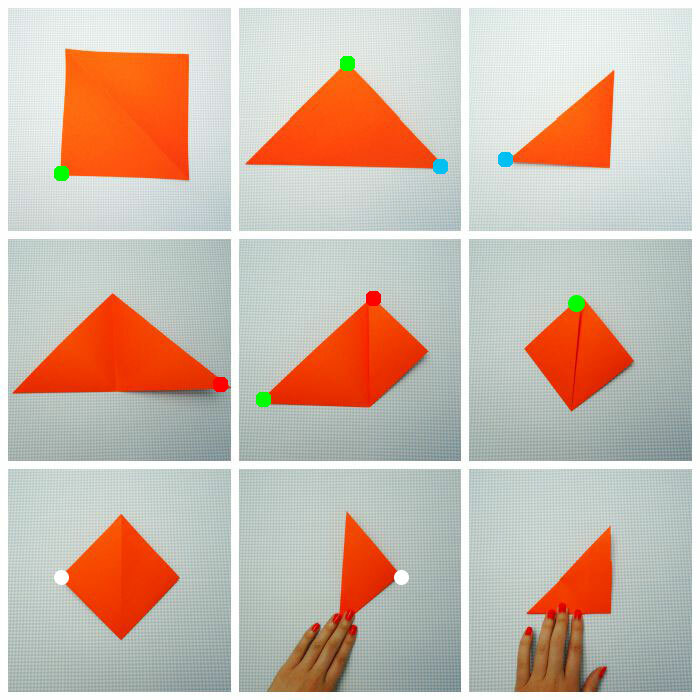 Fold the triangle in half – as shown on the third image above. 5. 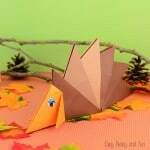 Grab the right (or left) corner of the triangle and fold it towards the center corner. 6. Do the same with the left (or right) corner. 8. Fold the square in half as shown in the 7th and 8th image above. 10. Make sure your triangle is positioned as the one in the first photo above – the 6 layers side on facing to the left. 11. & 12. Fold inwards (all layers) as shown on the picture. 13. Unfold the first 3 layers. 14. Push down the middle “two” layers as shown on the picture above – look it’s a fox head! 15. You can leave it as it it or you can make the fox legs pointy by folding in the legs (diagonally). 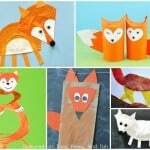 You can also fold the tail inwards to make the fox more stable. 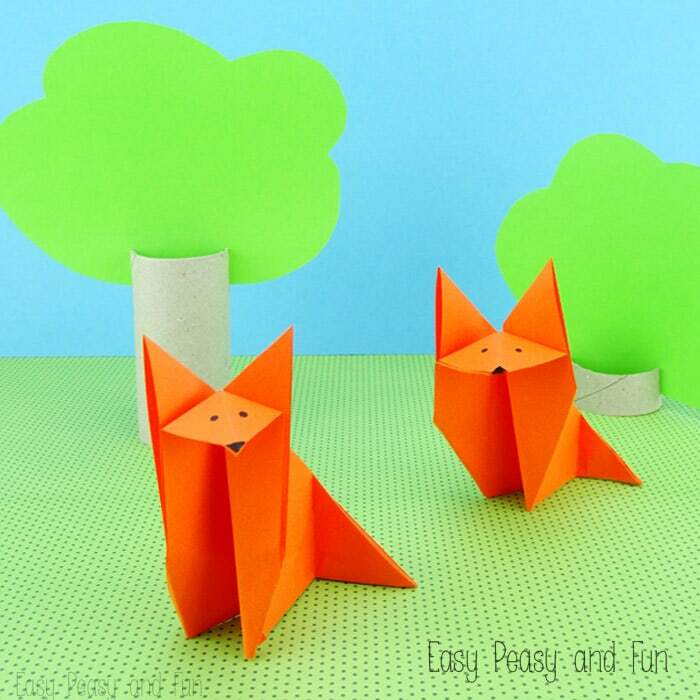 If you’d rather make a fox with tilted head (or just have more different foxes) be sure to watch this tutorial from eHow! 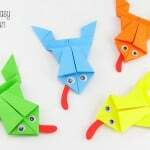 If your kids love folding paper be sure to check these origami frogs! 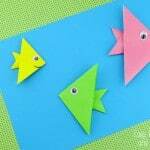 If you want something super simple to get them started also check these monster origami bookmarks!